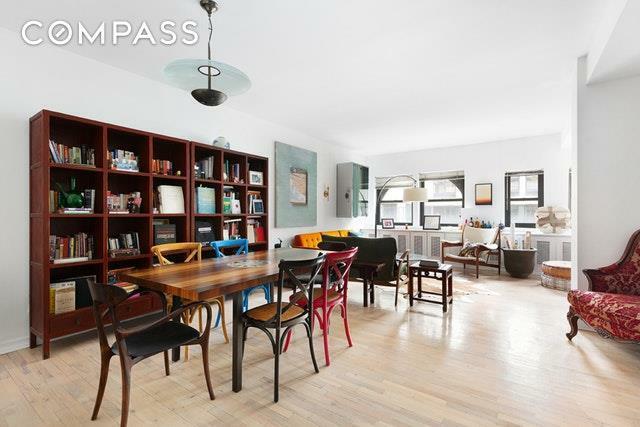 Located on one of the prettiest and safest streets in West Chelsea, this beautiful LOFT has just been listed! Residence #5F is a spacious (estimated) 1100 Square feet with six large arched Northern windows, light flooded oversized rooms, great closet space, built-ins, and beautiful bleached oak floors. This unique home is not to be missed!West 27th Street is a gated and tree-lined block which is closed to daytime traffic Monday-Friday. However, Residents are allowed 24/7 access, and in addition, the Fashion Institute of Technology supplies 24-hour security on the block! 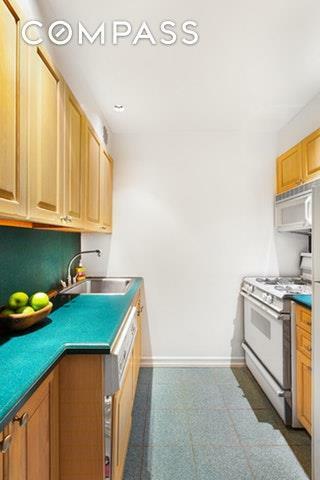 The residence is located near Subways, the PATH Train, Madison Sq. Garden and Penn Station.There's close proximity to Hudson Yards, Whole Foods, and Eataly, as well as the Hudson River Park and Madison Square Park. 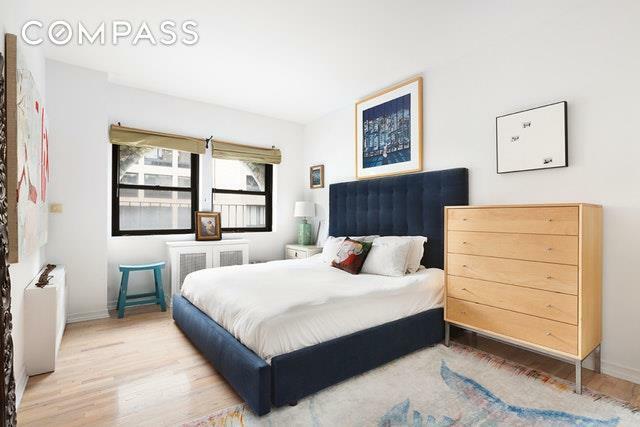 Its just a short stroll to the Chelsea Gallery District and the wonderful Hudson Park.The Pet-friendly, well-established Coop has low maintenance, strong financials, a live-in Super, Laundry and Bike storage rooms, and basement storage lockers. 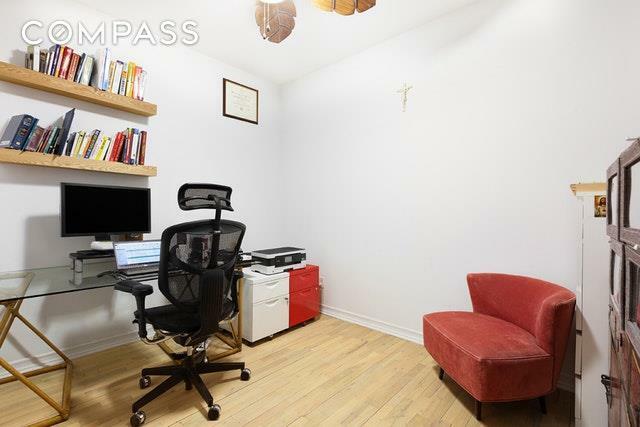 Listing courtesy of Kelly Wang of Compass.